No one believes me at first when I tell them that this little blue bottle holds the key to easy-to-manage, clean-teeth-for-life, but it sincerely is. 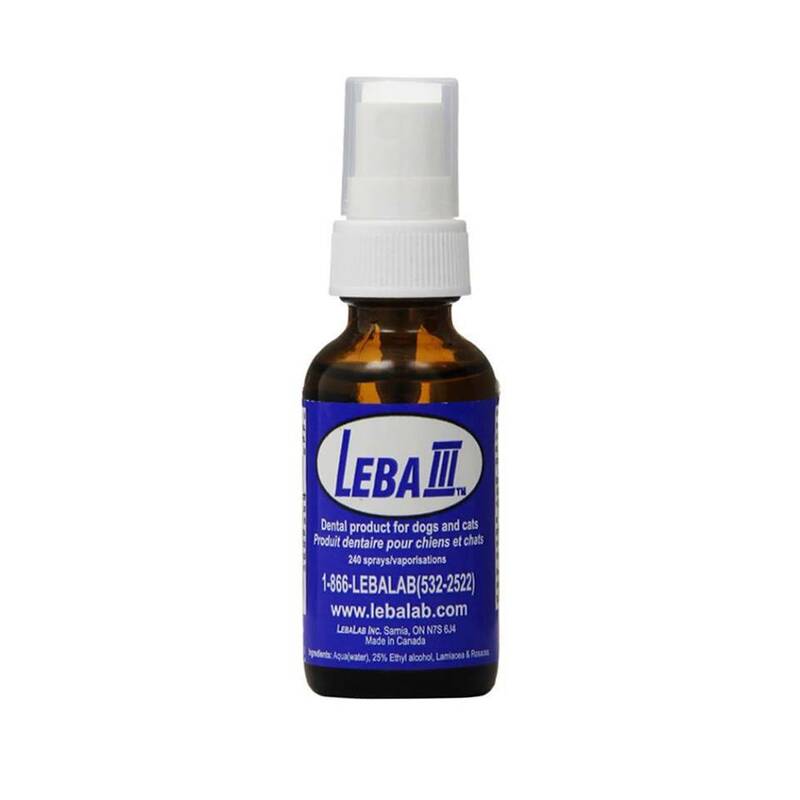 Used correctly, and consistently, Leba III has proven to be a mouth miracle worker since it made its appearance on the market in 1994. This is the only product on the market that has been studied via a double-blind trial**: the safety and efficacy of LEBA III was proven and supported by the results of a trial conducted by Herald Pook DVM, the Head of Veterinary Dentistry at Guelph University in Ontario Canada. Just spray or drop in the mouth once or twice daily, and voila! I get testimonials evvvvveeerrrryyyy week from customers who have taken a chance and tried it. They are always floored with the results. **"A blind or blinded-experiment is an experiment in which information about the test is not shared with the participant, to reduce or eliminate bias, until after a trial outcome is known. It is understood that bias occurs either intentionally or unconsciously - if both tester AND subject are blinded, the trial is called a double-blind experiment and eliminates any possible bias on the part of the tester as well. FROM THE ARCHIVES: OH BLU. GOODBYE GREEN SHIRT. CREAKY JOINTS BEWARE: TRI-ACTA IS HERE!